Visit Our Store for More Great Items. 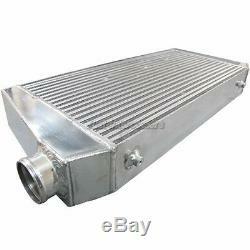 Bar & Plate Construction Core Size: 27"x13.5"x4" Overall Size: 36"x13.5"x4" 4" Thickness Core 3" Inlet & Outlet. 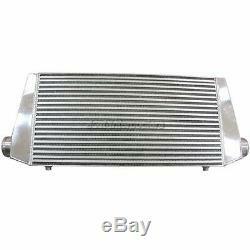 This is Extra Large Intercooler, with Longer Core. Hot Air Temperature: 32°F302°F (0°C150°C). Material: 100% Aluminum, Bar and Plate Design, Polished. Construction: Machine Cut and Stamped, Hand Welded. Our New Products are developed in the US on our own race cars, fully Tested with fitment and Performance. All Race Cars Below Use CXRACING Products. We sell most of our products internationally. PR, Guam, VI , AK, APO , HI. 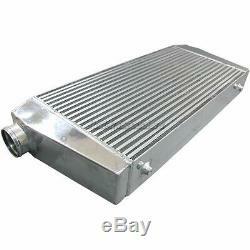 The item "36x13.5x4 Universal Full Aluminum Large Front Mount Intercooler For Supra MK4" is in sale since Sunday, March 31, 2013.